Enjoy the game to the fullest and don’t let outside weather conditions mar your viewing experience, when using the Fleece Stadium Blanket. Embroider your business logo on the blanket, for widespread brand recognition. 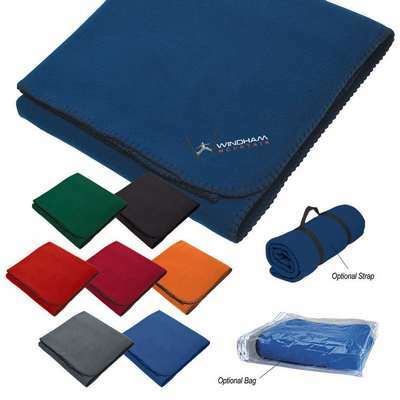 The large throw blanket is made of brushed polyester fleece, with whip stitch. It is surface washable and comes with two exciting packaging options. 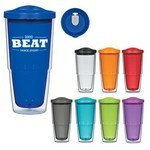 It is available in eight popular colors for your promotional campaign. Give these to your new and potential customers and see them instantly warm up to your brand. 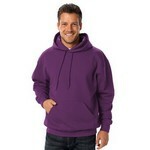 Our promotional men's pullover hoody sweatshirt features a half moon label mount with sewn down label.